Home / Do Buy / Oman / Oman's got cash, and Dubai doesn't! Oh, and Oman's 40th year of peaceful rule. Oman's got cash, and Dubai doesn't! Oh, and Oman's 40th year of peaceful rule. Headlines has never really been my forté, but there we are. 1/ Dubai World fails to reach a deal to refinance its $23.5 bn debt with the core group of 7 investors. 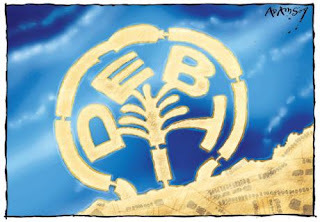 And this does not even represent 25% of the debt crises that is facing the boy's up the road - the emirate of Dubai is estimated to have $109 bn debt by the International Monetary Fund. On the bright side, the hotel rates and the sales in the mall's are fabulous at the moment! I found it incredible, that with such debt's on the Emirate's books, that they then decided to place an order for $9.1 bn worth of planes recently at the Farnborough Airshow. Unresponsible much? 2/ Oman recently posted a budget surplus of RO 421.2 mn for Q1 2010, when it was expected that there would be a RO 800 mn deficit for this year. This is presumably because oil prices have rebounded a lot quicker than was anticipated... good news for Oman so far. 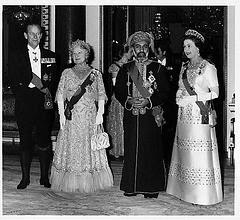 Also, you will have probably noticed that Oman saw it's 40th year of rule under His Majesty, Sultan Qaboos bin Said. This is the definitive example of benevolent dictatorship and when you look at his score-card you may well be amazed at what he's done for this country, one of only two remaining Sultanates in the world. 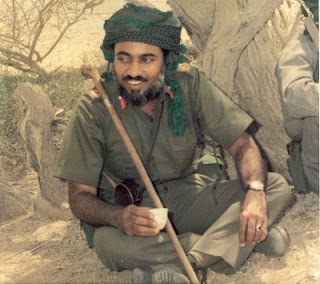 He was born at al-Husn Palace in Salalah, Dhofar, on the 18th November 1940 and was the only son of H.H. 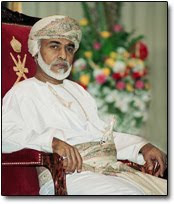 Sultan al-Wasik Billah al-Majid Sayyid Sa’id bin Taimur, Sultan of the Saidi State of Muscat and Oman and dependencies. He went to school in the Saidiyyah School in Salalah, Dhofar, and then Feltsham House in Bury St Edmunds, UK. After this, he attended the Royal Military Academy at Sandhurst. He was subsequently commissioned into the British Army as a 2nd Leftennant attached to the 1st Battalion of the Cameronians. He then went on to serve for 1 year in what was then West Germany in 1962-63, after completing this, he then served as a trainee in the Bury St. Edmunds Council (working in public administration and accounting) between 1963-64. Now, thats a pretty good education I reckon, and it may help to explain the UK's special relationship with the Sultanate. Good post and I love the pictures. :) I especially love the last picture of the Sultan. You missed out that he completed part of his secondary education in Pune, India, before he went away to the UK. Apparently, the school that he went to still has his name in the roll of honour. Suggestion: Placing the picture above the relevant text might make connecting the two easier. Or maybe it's just me. Did you make the first pic??? @ pic #1 LOL. Sorry UAE, I did not become a fan. While it's true that Dubai has over-reached itself and is in debt, and that Oman has found itself with a budget surplus, there are considerable structural differences between the emirate and Oman. Dubai has relatively little oil and has had to diversify into property development, tourism and as a business centre in order to generate income. Oman still depends very largely on hydrocarbons. In the longer term, Dubai is probably better placed because of its diversification. It has created a market by pulling in expatriates to swell its population. It's a massive tourist draw and sits neatly at the cross roads as an air hub between Europe and eastern Asia. Oman continues to struggle to gain a foothold in this type of development with Dubai and Abu Dhabi being so close. Suonnoch - Thanks for your comments, I think you'll find that as the tourism market matures here in Oman, it'll attract just as many people to it as currently are TOURISTS in the UAE. There's just more stuff to do here. The second pic, where did you get that?